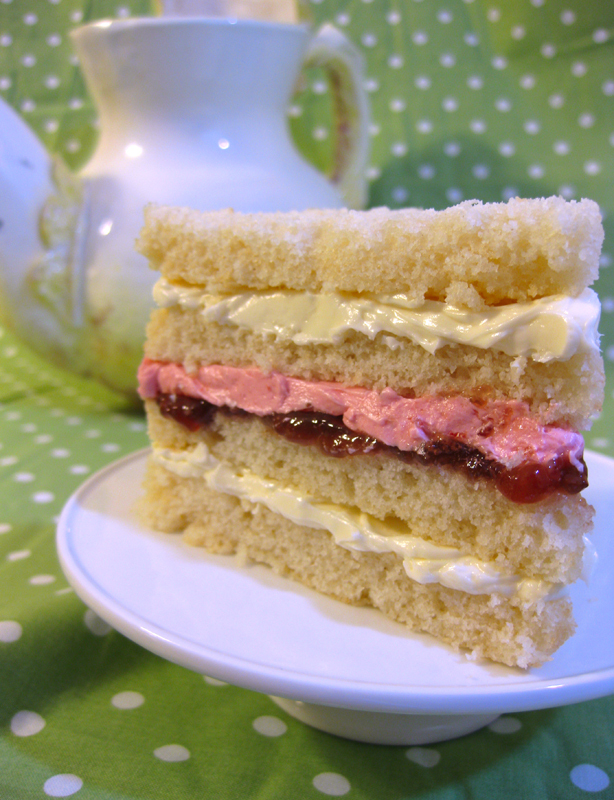 Good day, I am the scrumptious cake most widely known as White Vanilla Raspberry cake. I am made up of four fabulous layers of a white butter vanilla cake. The middle layer is laced with raspberry jam topped with raspberry Italian meringue buttercream. The two surrounding layers are filled with vanilla Italian meringue buttercream to complete the smooth raspberries and cream flavor. I am a perfect centerpiece for your afternoon tea party or any birthday celebration. If you love the combination of chocolate and raspberry, I am also delicious when paired with chocolate buttercream. do you have a recipe for the meringue buttercream? Also, would this type of buttercream work as a crumb-coat for fondant? I want to make this cake for a baby shower but it will have to stand up to the fondant. We hope to put out a book sometime in the next year with all of our recipes. And yes, this works great with fondant.